That’s why monday.com is worth a shot. The platform is based off a simple, but powerful idea: that as humans, we like to feel like we’re contributing to part of a greater/effort good — an idea that sometimes gets lost in the shuffle as we focus on the details of getting stuff done. So projects are put onto a task board (think of it like a digital whiteboard), where everyone can have the same level of visibility into anyone else who’s contributing set of tasks. That transparency breaks down the silos between teams that cause communication errors and costly project mistakes — and it’s a beautiful, simple way to connect people to the processes that drive forward big business initiatives. Whether you’re part of a tech-forward team or not, monday.com is a welcome relief to cumbersome Excel files, messy (physical) whiteboards, or meetings that waste time when actual work could be completed. 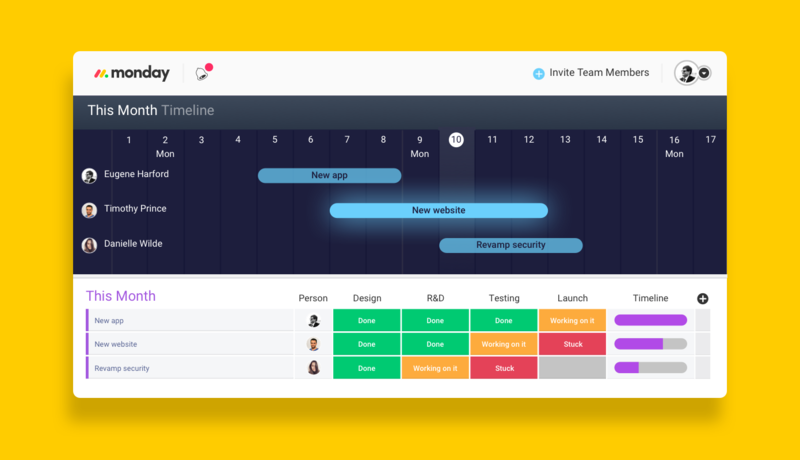 The scalable, intuitive structure can effectively work for a team of two, or an international team of 2,000+ — and a beautiful, color-coded board lays out tasks you can cleanly see and tag for various stages of completion. That way, employees can see exactly what needs to be done (and who needs to do it), while managers can optimize their time re-allocating resources as necessary to optimize processes. It’s a win-win. monday.com also allows teams to communicate within the platform, cutting down on the amount of laborious sifting through various email threads to figure out a workflow. Messages can be sent inside of tasks — so all the communication is contextualized before meeting resolution or seeking it. The platform also supports uploads, so documents and videos can be added to facilitate more collaboration, and integration with other productivity apps. So, if your team is already using tools like Slack, Google Calendar, Dropbox, Microsoft Excel, Trello, and Jira, there’s specific, clean shortcuts to integrate the information from those platforms into monday.com. And even beyond team communication and management, you can use monday.com for client-facing exchanges, so all your messages are consolidated into a single place. The platform recently raised $50M in funding, and received nods from the likes of Forbes, Entrepreneur, Business Insider, and more for its ability to empower international teams to do better work together. 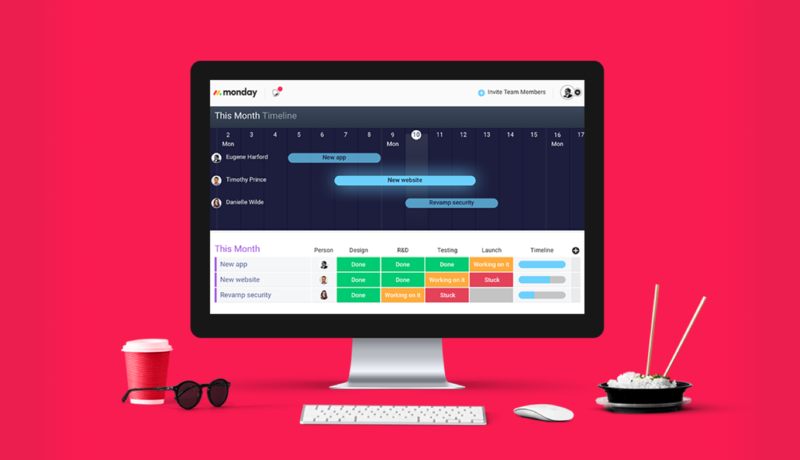 Best of all, unlike other team management software, which can be pricey and time-intensive to scope, test and run, you can try monday.com today — for free. Don’t just take our word for it; the tool is already being used by major brands and companies, including McDonalds, Fiverr, Philips, DHL, Discovery Channel, and more! See if monday.com is the right fit for your team: create your free account and start using the platform today.